SUNRISE, Fla., June 1, 2015 – Small businesses can now ship products in packaging that looks as professional and eye-catching as big businesses with big printing budgets. 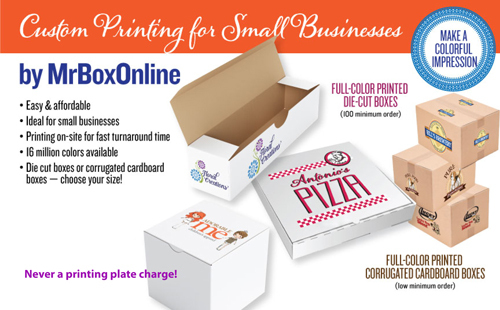 A&M Tape & Packaging/MrBoxOnline, a packaging and shipment supplies company, now offers high-digital printing services onsite, an affordable option for businesses requiring short-run printing projects. Customers can choose from more than 16 million colors to print full-color logos, images and text. No special set-up or printing plates are required, saving on expensive set-up costs for traditional printing. Customers can choose from 1,000 sizes of traditional corrugated cardboard shipping containers and die cut boxes. Most of our sizes are in stock and turnaround time is about 10 days, after approval of artwork. Pricing is based on the quantity requested, not a minimum run. A&M Tape & Packaging utilizes a high-speed printing technology to create high-resolution images on cardboard shipping and die cut boxes. To learn more about A&M Tape & Packaging’s new onsite printing service, visit MrBoxOnline.com or call (954) 572-2500 x101 or (800) 231-8806. Established in 1977, A&M Tape & Packaging has been providing corrugated packaging and shipment supplies to businesses of all sizes in the manufacturing, healthcare, food service, logistics/freight, retail and high-tech industries. Its American-made Lucky Dog Brand™ of packaging products include Lucky Dog blue painters tape; Lucky Dog bubble and poly mailers; Lucky Dog masking tape; Lucky Dog reinforced gummed tape; Lucky Dog stretch wrap and Lucky Dog Silent packaging tape. Based in Sunrise, Fla., its 90,000 square-foot facility houses more than five million cardboard boxes in more than 1,100 sizes. A&M Tape & Packaging features on-site technology to custom cut cardboard boxes to customer specification and design and print custom tape, labels and cardboard packaging. 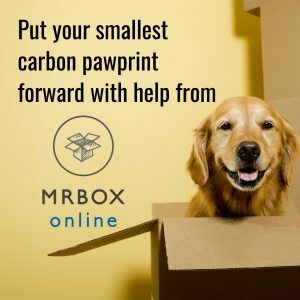 For more information, visit http://www.mrboxonline.com, or call (800) 231-8806. 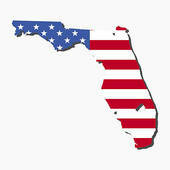 A&M Tape & Packaging is located at 5201 Nob Hill Road, Sunrise, Fl USA., 33351.